Recall Masters’ best-in-class data is trusted by the largest dealer groups and OEMs in the automotive industry to provide strategic recall information on demand. We have collected the most comprehensive recall database from more than 50 leading data providers supporting 46 brands from leading automakers, monitoring NHTSA-mandated and OEM safety recalls alongside service bulletins issued by the manufacturer. Paired with our advanced recall scoring methodology, dealerships receive key insight that unveils which vehicles will yield the most profit and the highest probability for recall compliance. For car rental agencies, municipalities and other fleet managers, we’ll stand vigilant over a safer fleet and mitigate the risk recalled vehicles present. Our extensive recall knowledge base actively monitors and filters data to provide you with the most current and accurate vehicle recall and owner information. Our extensive data is carefully interpreted through digital forensics to provide the most accurate, all-encompassing consumer data, making us the best at identifying current vehicle owners. Without question, Recall Masters provides the nation’s most effective solution to establish contract with vehicle owners and facilitate recall repair compliance. More than 1 in 4 vehicles on US roads and highways has an open recall. Approximately 58% of these vehicles has at least 1 vehicle recall or manufacturing defect that presents a safety risk to the driver, passengers and others sharing the road. As a nation and industry, we can do more to resolve the recall crisis, and it starts with more comprehensive vehicle recall data. Recall Masters provides the most comprehensive vehicle defect data on the market. We not only log NHTSA-mandated recalls, but Recall Masters is the only third-party provider to include select factory notices (also called TSBs). 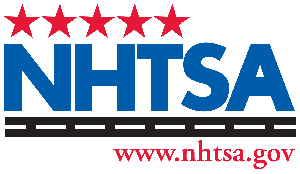 NHTSA’s investigation process takes time, leaving a gap that can also place drivers at risk. We not only monitor 46 different vehicle brands, but also go back as far as model year 2000. 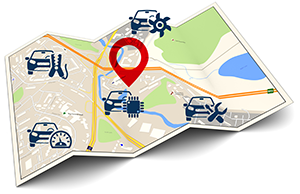 For dealerships, fleet managers, rental companies, municipalities and other organizations that rely on vehicle safety, our owner/vehicle recall data enables you to efficiently assess the integrity of your inventory and defend consumer safety. Recall Masters develops an Application Programming Interface (API) to pass our valuable vehicle recall data to strategic partners and other organizations who already have a preferred platform they work from. For dealerships, our API might be already be integrated with your Dealer Management System (DMS). For a rental car agency, the API might be integrated into the vehicle reconditioning platform. In other words, valuable recall data may be already built into your existing workflow through one of our partners. If you are interested in being a strategic partner or you would like to learn more about where our API is integrated, visit our Strategic Partners page. Consumers are holding onto their vehicles for a longer period of time, changing ownership at a rate that makes it nearly impossible for the factory to locate current vehicle owners. 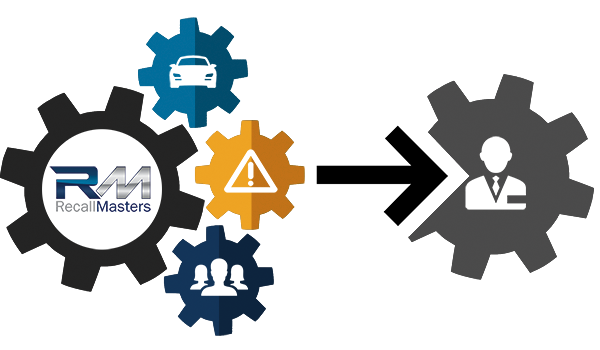 Recall Masters solves this by aggregating vehicle VIN data from more than 50 data sources and deploying digital forensics to identify owners and ascertain contact information. We’ll also take your current DMS/CRM data and filter out VINs that are no longer in your area, owned by another party, no longer in operation, repossessed or already repaired. For those owners still in possession of the vehicle, we’ll append missing or invalid contact information. Until state DMV information is shared across across state lines, finding owners of vehicles affected by a recall is what Recall Masters has built its reputation on. Combined with information gathered from OEMs and dealers, we have created the most comprehensive knowledge database available to customize a recall campaign that targets the vehicles that pose the greatest safety risk and opportunity for repair. Time is ticking. Consumers want to get these recalls repaired and could connect with a competitor tapping into your market. When you become a client of Recall Masters, you secure the VINs in your Primary Market Area (PMA), preventing competitors from targeting those same VINs. We’ll also set up a campaign to target customers in your DMS, including those customers who no longer service with you. It’s time to revitalize these “lost” relationships and win new customers who are desperate to service recalls. Be there for consumers in their moment of need and they’ll continue to service with you, purchase their next vehicle from you and become brand ambassadors. It’s astonishing to see how far are consumers are willing to travel to get a recall repaired. The recall opportunity is still a big mystery for dealerships, who overlook the factory reimbursement, additional CP revenue and vehicle sales possible in every interaction. It turns out that comprehensive recall management is not only the RIGHT thing to do for consumer safety, but it’s also the smartest strategy every dealership should pursue. As a client of Recall Masters, you can take advantage of your competitor’s lackluster approach to recalls. 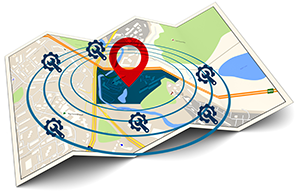 Select the radius around your dealership to engage consumers who may not even be aware of a recall or who may not have ever serviced with you. It’s time to roll out the red carpet for these unique customers. Every dealership and every market is different. Whether you’re at service capacity and focused on recalls that draw the highest reimbursement, or you have a mobile service team in a rural market traveling 50 miles to replace Takata airbags, the campaign parameters are yours to customize. 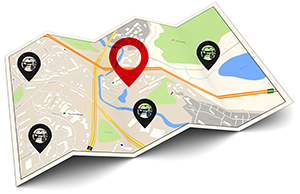 We also work with manufacturers and dealer groups who set parameters for market penetration. Recall Masters can also filter for recalls where a service bay/vehicle lift is not required, where parts are readily available, model years where anticipated CP revenue is the highest and a spectrum of other attributes. You’ll also be able to direct the Call Center Services team to set repair appointments for specific days and times. There are hundreds of ways to customize this effort – we’ll show you how. Recalled vehicles of your brand are sitting on independent dealership lots or at off-brand franchise dealerships waiting for you to service them. 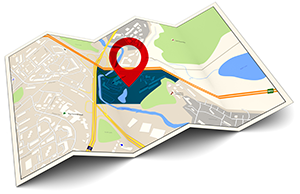 Recall Masters’ MarketSMART Reports will identify where those recalled vehicles are, enabling your BDC team to proactively reach out to those dealerships. 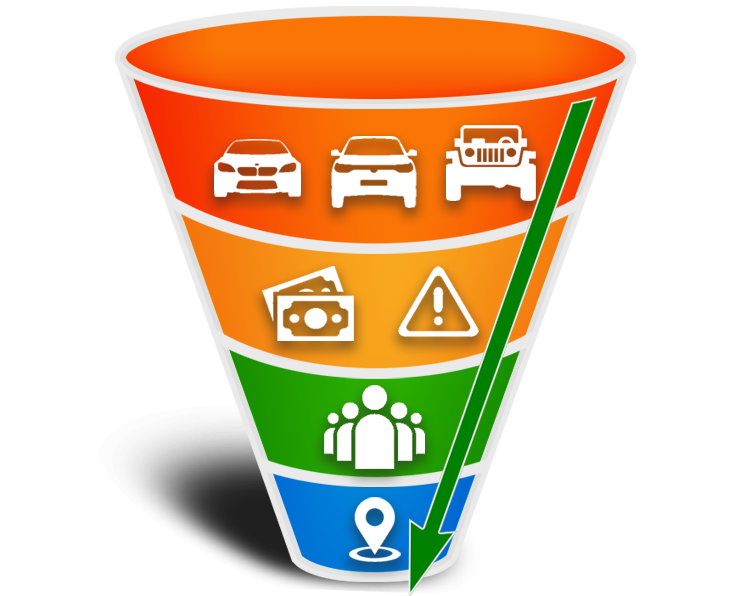 In the name of vehicle safety and good business, it’s time for your dealership to establish a relationship with other dealers in your community. Not only will you secure factory reimbursement for the repair, but you’ll also help those dealerships place a safe vehicle back on their lot and, eventually, in the hands of a grateful consumer. While Recall Masters uses www.recallmasters.com as a B2B website for automakers, dealerships, fleet managers, car rental agencies, municipalities, strategic partners and other organizations charged with comprehensive recall management, consumers are directed to www.motorsafety.org. The consumer-facing website serves as the primary interface for those wishing to run a single-VIN recall check or to read the latest recall announcements. In the name of compliance, the site is referenced in snap-pack direct mail campaigns as a means to deliver non-commercial information about vehicle recalls. All vehicle recall data provided by the site’s VIN check service is powered by Recall Masters.